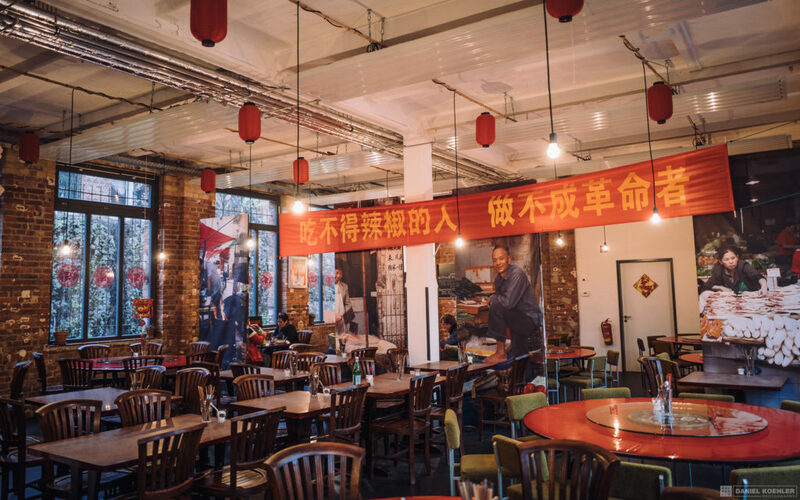 One of the very special addresses of the local restaurant scene is the local tip Chinabrenner, an authentic Chinese restaurant located in Plagwitz, a former industrial district of Leipzig. This East Asian restaurant has nothing in common with the takeaways that you can find on every street corner and that have nothing to do with original Chinese cuisine. The cooks in Chinabrenner learned their trade in the Chinese province of Sichuan and will therefore only put the “real stuff” on your plate. From meat over fish to vegetarian varieties: you will have hard times to decide on one of the mouthwatering dishes to order. If you cannot stand the thought of leaving Leipzig and the Chinabrenner delicacies behind you, the restaurants offers cooking classes where you can learn how to recreate some of the Sichuan Cuisine in your own kitchen. Leipzig is as far from France as a German city can get, but that’s just geographically speaking. In fact there is French flair to be found in many corners of the city. One of those corners has to be Café Maître in the quarter of Südvorstadt. 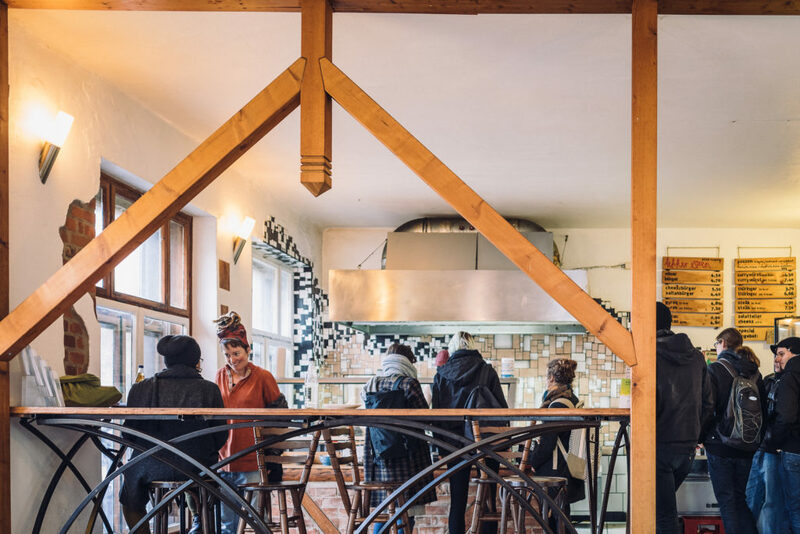 This Art-nouveau-style Coffeehouse is proof that Leipzig is more than able to hold a candle to Paris. Take a seat at the historic tables and feel like a bohemian artist, sipping coffee on the hill of Montmartre! Café Maître has a 112 year long tradition in serving the best French specialties. In 2015 it won the award for serving one of the best breakfasts in Germany! From Crêpe to Galette, Croque Monsieur, Quiche and Crême Brûlèe…eat like a French in the heart of Saxony! Leipzig is not only an insider’s tip for vegans and vegetarians. Furthermore in 2014 it was announced to be the most vegan friendly city in Germany by animal rights organization PETA. No vegan is forced to chew on boring salad leaves due to a lack of alternatives in Leipzig. Wherever you go there are Restaurants and Cafés offering a creative variety of meatless dishes. Although there are numerous hotspots for plant based eaters, one of them sticks out: Vleischerei in Plagwitz. The name of this Vegan Fast food shop is a humorous reference to the German word for Butchery (Fleischerei) – Just put a V for vegan in the name and replace all the meat with soy, seitan and other plant based products and you get the most trending hotspot for vegans, vegetarians, curious eaters and everybody else. Vleischerei offers everything that you can wish for in a German takeaway. Kebab, Bratwurst, Currywurst and fries are only a few of the classics that Vleischerei serves in a meatless version. If you want to check out more vegan or vegan friendly restaurants in Leipzig click here. Do you know the smallest Café in Leipzig? With only 8sqm ZierlichManierlich certainly owns this title. Set up in an old circus caravan the ZierlichManierlich serves all kinds of homemade and organic drinks and snacks that can be enjoyed sitting in the grass next to the river Elster. 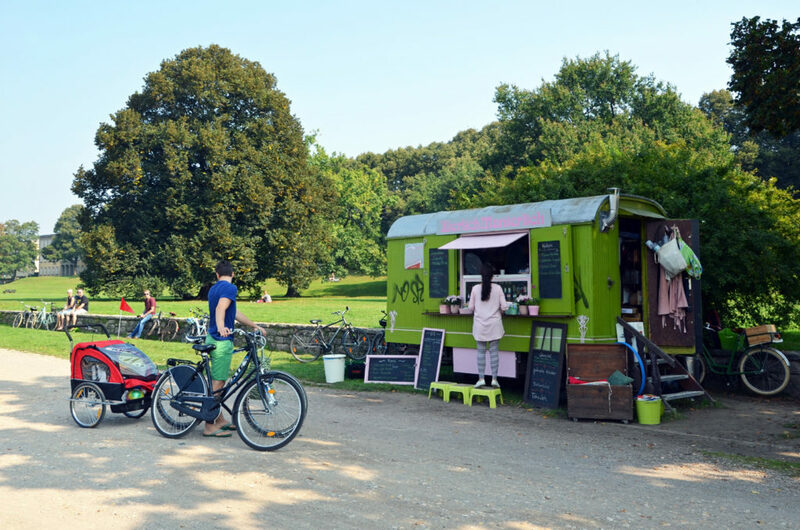 Owner Rebecca Maria Salentin and her Trailer-Café can be found from April until October at Richard Wagner Hain, a park where locals and visitors love to sit in the sun, take a walk or have a picnic in the warm months of the year. So if you want to enjoy the laid-back lifestyle of Leipzig grab an organic carrot cake and a homemade lemonade from ZierlichManierlich and dawdle away your time in the sun. If Leipzig was a Restaurant it would be Café Cantona…or the other way around? Café Cantona, close to the city center of Leipzig, is a sportsbar, a Café, a Restaurant, a meeting point for yuppies and creatives and sometimes a Cocktail Bar as well. Sounds versatile? – Well, just as versatile as the city itself. If you are not sure yet which aspect of Leipzig you identify most with, just go and grab a beer at Café Cantona and take pot luck. If there is a football match shown on big screens you might find yourself surrounded by passionate German and international football enthusiasts. You could also stumble over an author or poet reading to an amazed audience. Or you just sit down, have one of the very delicious Burgers or Sandwiches and meet new people. Of course Café Cantona also holds two of Leipzig’s favorites: A great variety of delicious Breakfast options and the so called ‘Freisitz’- Leipzig’s restaurateurs will turn even the narrowest space and smallest corner into a great little terrace (Freisitz) so you can enjoy a cold beverage outside on a sunny day.